The Brewers derby finished as a 1-1 draw at the Boundary stadium, and it was Jets more glad to hear the final whistle than the visitors. 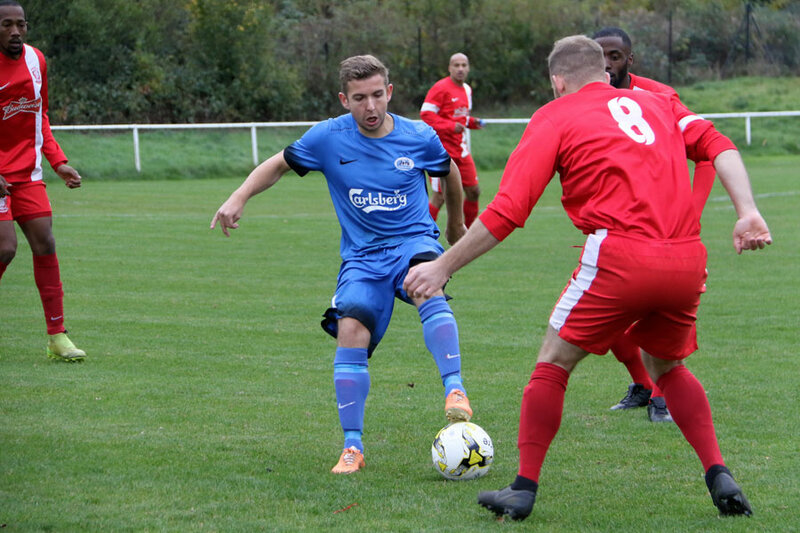 Wembley fresh from their excellent midweek win over Enfield in the Middx Senior cup completely belied their second from the bottom position and were a much-improved side to the team Jets came from two down to beat earlier in the season. Jets were ragged and off their game today, and on a bitterly cold afternoon, the end of the game could not come soon enough. It was scrappy, but Wembley was on top and although both unusually seemed to play much longer today the accuracy in the first half was much more with the visitors who had man-mountains in the team. Jets, without learning, continued to pump the high ball, and then walk around hands on hips shaking their heads when it failed. Real tough battle for Tom Gibson. Jets go down 1-0 from a hotly disputed free-kick. Jets fell behind to a horror decision in the home camps mind when Tom Gibson looked multiple fouled before it being given against him and a stunning accurate free-kick gave the Buds the lead 0-1. Scott Bonner strong in defence. Jets sort of flickered but without much menace and it was the defenders who had their hands full almost without rest. The defence did well with a little help from the crossbar on one occasion. Jamie Speer, Vass, Scott Bonner, Tom Gibson and Harry Beaumont were doing their jobs, but the attack and midfield were overrun by the massive work rate of Wembley that Jets were not matching. Tim O’Sullivan, it’s fair to say, was not a happy man with the first half performance and they were left knowing it. Jets faired better in the second period, they competed and did start to make scoring chances. Wembley had possession but nowhere near as menacing as in the first half. Nick Kerley went deeper to gain a hold. 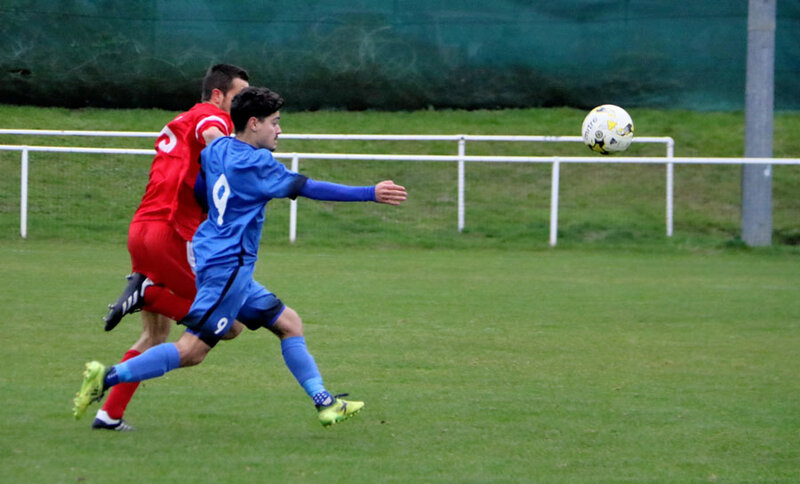 Luke Jones had long-range efforts that didn’t bother the massive keeper, but it at least showed the way to attack. Sean Giordmaina looked more like his work rate was returning, and Nick Kerley was seeking out some excellent cross pitch balls, but Wembley snuffed them out today. 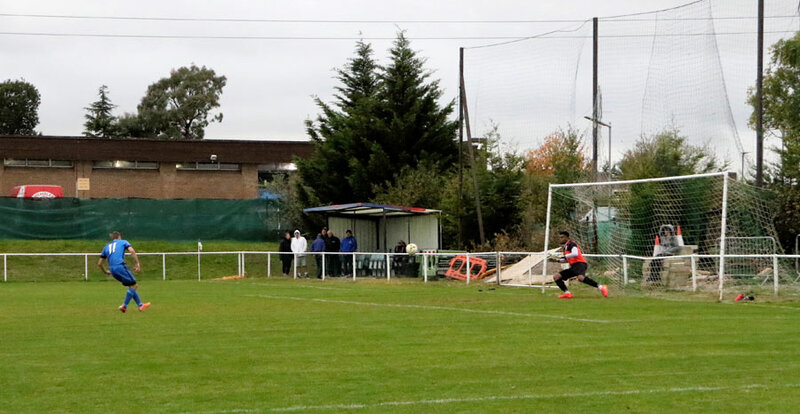 Nick Kerley levels from the penalty spot. The equaliser had a squeak of luck as Jones just got a toe but couldn’t control a ball, and it flicked high, and the defender with arms stretched wide gave away a bolt on penalty that Nick Kerley slammed home 1-1 and game on. 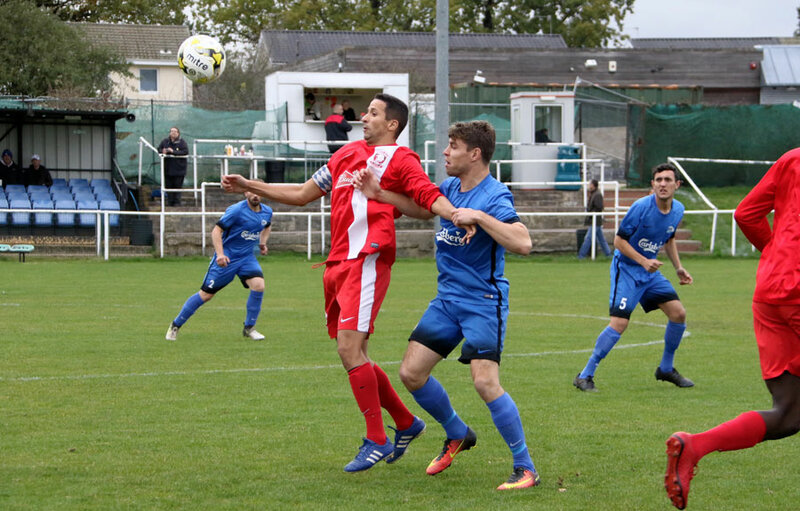 Superb last gasp intervention from the Wembley defender denies Luke Jones a late winner. Now it was just as cold but more exciting, and the two teams slugged it out. Both sides had penalties turned down, and both had half chances. In the end, it looked like Jets were getting the points when Sean Giordmaina went clear in a race with the defender and was composed ready for the winner when a late flag pulled him back, and the Jets crowd went wild with the no no no screams. Sean Giordmaina looked on for a last minute winner but a controversial flag denied the chance. Wembley were always dangerous from set plays due to the size difference of the teams today, and I for one was glad to hear the final whistle. 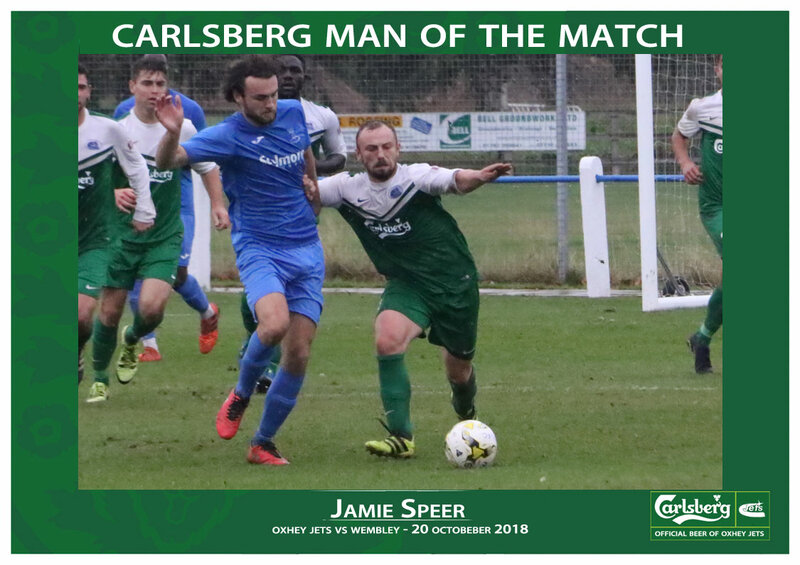 Star player for Jets was a single nomination, and Jamie Speer walked uncontested away with that one, but in fairness, the defence today can take a bow, they were Carlsberg Special Brew. Jets, however, on ball play and imagination were Carlsberg cold today. A point is a point on to next Saturday. 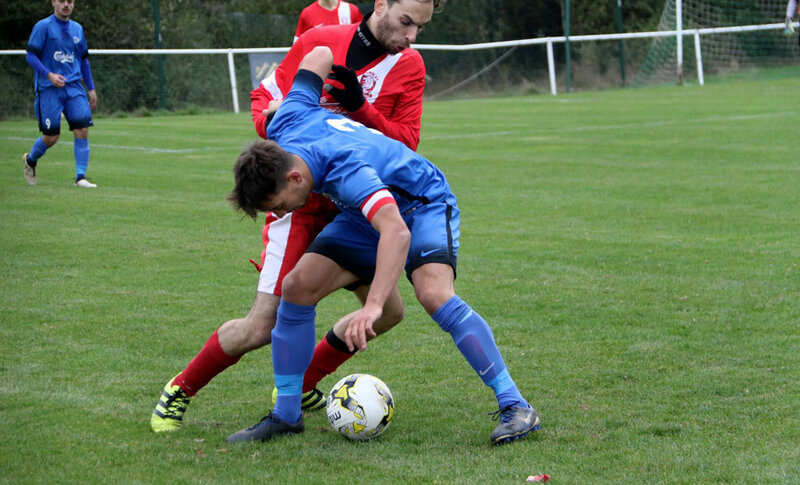 Jets Reserves stayed on top of the Herts county league div one after the second draw of the week. 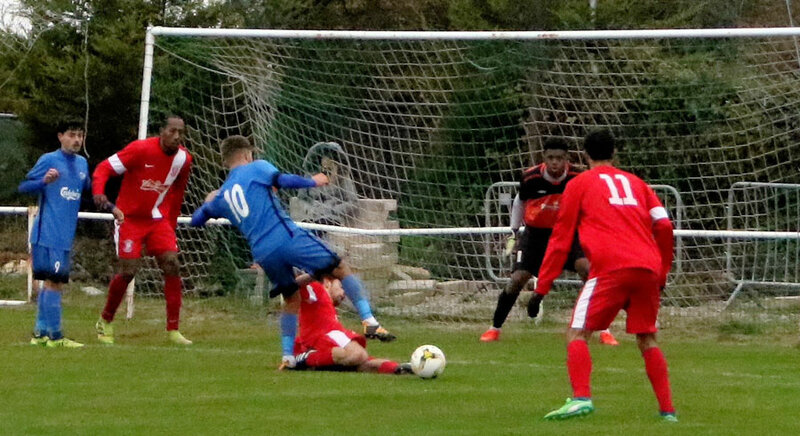 The 1-1 draw in the top of the table clash on Wednesday at Cockfosters Reserves was followed by a 2-2 draw today against Hinton first. 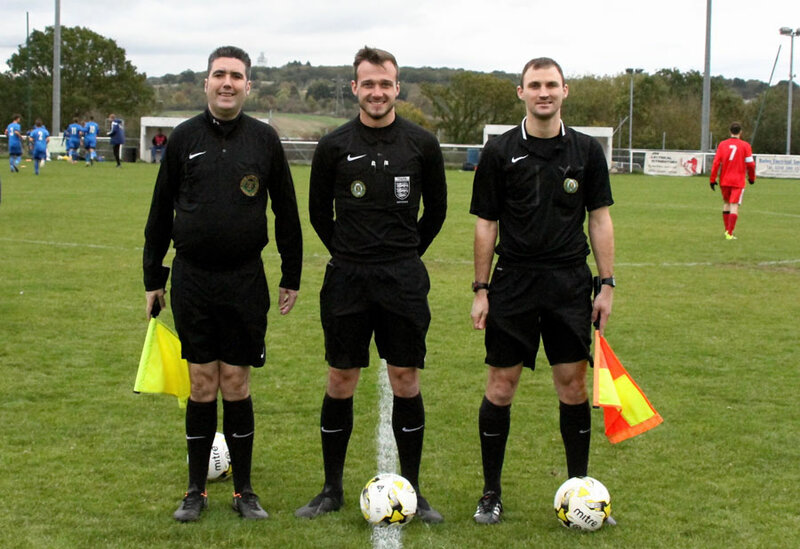 The Vets looked on route to a non-fulfilment today, but the old hands changed things, and in a way only their generation does, turned out and battled a superb 2-1 win against Oxhey Reserves. A delightful lob by Ian Holdom and the winner by Craig Gorrie got the clubs only win on the day…. that nobody lost either.